Whatever your preference, one thing remains the same; the glass, a classic martini glass of course, should be chilled to ice cold before you begin. After that, the world is your olive. The original Martini recipe (as far as I can tell) called for an equal mix of dry gin and dry vermouth, stirred gently and served with a single olive. Over time, the ratio of gin to vermouth has crept upwards, and passed two to three parts gin to one part vermouth in the 1940s (a Martini), five parts gin to one of vermouth in the 1960s (a Dry Martini) and up to eight parts gin to one part vermouth soon after that (an Extra Dry Martini). Add the gin, then the dry vermouth and stir gentlyfor sixty seconds. 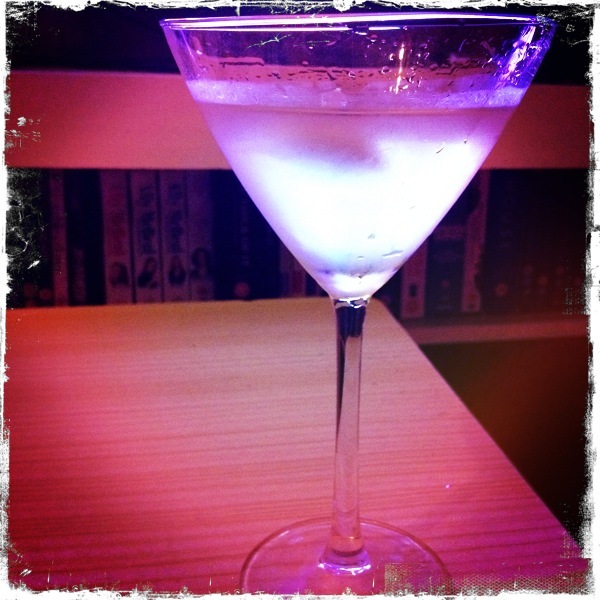 A Dirty Martini involves the soothing addition of a dash of olive brine, and a Gibson is a Dry Martini with a single pickled onion (a favourite of Roger Sterling). This entry was posted in 1800s, Apéritifs, Bitters, Cocktail Onion, Gin, History, Ingredients, Lillet Blanc, Olive, Triple sec, Twist of Lemon, Vermouth, Vodka and tagged Angostura bitters, bitters, Bond, bruise the gin, cocktail, curacao, dirty martini, dry martini, dry vermouth, extra dry martini, gibson, gin, ice cold, Kina Lillet, lemon peel, Lillet Blanc, martinez, martini, martini glass, olive, olive brine, orange bitters, pickled onion, shaken not stirred, the vesper, vermouth, vesper, vodka. Once you get seriously into vermouth, the ratio begins to creap the other way. I am usually goinig with 3 to1 gin to vermouth. Also orange bitters and a lemon twist is a cool way to go. Cheers! !